Should you take the ACT or SAT? This quiz will help you determine which is best for you. Are you planning on going to the US or Canada for university, and just found out you need to take the ACT or SAT to gain acceptance? You only need one, so which one should you take? 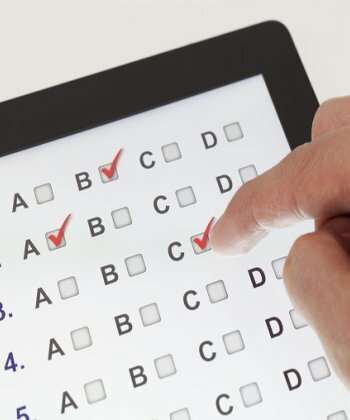 Here is a Free mini-quiz designed to help you better understand the fundamentals of each test, making the decision to study one or the other easier. Also, if you would like to try out real questions and learn some key strategies free of cost, try out our Freemium ACT and SAT products. These include dozens of real questions, expert advice, and more all rolled into the award-winning RealizeIT AI technology to help you improve faster than ever before. We at the Edge Prep are excited to announce the launch of our SSAT course. Following the successful launch of our ACT and SAT courses, which have helped hundreds of students score higher in the short time they have been available, we now focus our sights on those students taking the demanding SSAT in hopes of scoring their way into a top boarding school. The SSAT, much like the other courses comes loaded with custom content written by a team of highly trained academics, hours and drilling and review, and mock tests for the ultimate form of practice. All tied together using the custom AI engine developed by RealizeIT technologies for use within the world's elite universities. Enough of the talk though, here is what you'll get with the SSAT Premium product. Over 30 hours of training material covering every area of the exam with key proven strategies. AI-powered adaptive learning to ensure that you're only studying the areas you need to. If you still have questions, feel free to email us at info@theedgeprep.com. Otherwise, you can check out the subscription page to learn more. *Live Tutoring fees on Edge Tutors not included in the course fee. However, with your consent the tutors you select on Edge Tutors can access your Edge Prep summary stats and quickly assess and correct any areas of difficulty. Email us for more info. Want to know how you would do on the SAT? Take our quick SAT quiz and find out. Our crack team at The Edge Prep has put together 10 questions taken from real SAT exams and assigned values to them to give you an idea of how well you'll do. So go ahead, take ten minutes, and see where you stand. Note: This quiz is a for quick assessment purposes only and uses a system outside of The Edge Prep's Test Engine. For a full mock within our platform, please register for a freemium account. Its free to register and gives you several hours of content with real questions on our adaptive platform. When Should I take the SAT's? You should take your SAT when you are most ready. If possible, try to get your final SAT score by junior year. Why not senior year? Because your first-semester senior year is likely going to be the most intense and stressful semester of your high school career. You will likely have your hardest classes, club leadership responsibilities, and college applications. During your senior year, getting enough sleep will be a big enough challenge, so why add pressure to perform well on the SAT? Also, if you procrastinated on your SAT studying, you will likely procrastinate on your personal statement writing as well. Take your SAT's early so you can procrastinate on something else! We understand that most students don't plan ahead enough. Enrollment in SAT classes tends to peak during the summer between junior/senior year and fall of senior year. Despite encouraging high school juniors to start studying earlier, we often don't see these students until they are stressed out a year later. That's understandable. High school juniors are still teenagers and likely to perceive a year in the future as quite long. One note about taking the SAT your senior year: if you think that you can improve your score by 100+ points, then definitely feel free to take the test again. That is a big enough improvement and worth your time. Is there a guessing penalty on the SAT? In the old days, students taking the SAT incurred a "guessing penalty." If you got a problem wrong, 1/4 of a point would be deducted for each incorrect answer. Painful, huh? This added an element of strategy and gamemanship to the test, but this is no longer a feature of the test. The SAT has gotten soft in its old age. If your parents are sharing strategies they honed to master the guessing penalty, politely inform them that the SAT no longer has a guessing penalty. This kind of old people rambling will do you no good. There is probably other wisdom your folks can share, this just isn't it. In conclusion: you should expect to guess on the SAT. Don't leave those bubbles blank! Don't believe us? OK, we checked with the official sources to make sure. Here is the official word from the College Board itself. On the SAT, you simply earn points for the questions you answer correctly. So go ahead and give your best answer to every question—there’s no advantage to leaving them blank. -Our friends at Kaplan provide guessing tips. -Princeton Review also provided a nifty overview of the test changes after the latest version of the SAT was released. What kind of math is tested on the SAT? New students and parents will often ask us about what kind of math is tested on the SAT. Fortunately there is no high-level calculus and fewer brain teasers than in the past. However, students may have to apply math skills they've learned in a different way. You're being tested on the math you learned in high school, but you may not quite realize it. Have a look at the question below. This is a medium level difficulty question from an actual SAT practice test. (SAT Practice test 3, section 4, problem 8) This section does not allow calculators, so try this one without a calculator. The average number of students per classroom at Central High School from 2000 to 2010 can be modeled by the equation y = 0.56x + 27.2, where x represents the number of years since 2000, and y represents the average number of students per classroom. Which of the following best describes the meaning of the number 0.56 in the equation? This is one of the SAT problems beginning students frequently miss, but it's not because it involves any complex calculations. This question tests whether a student can apply the y=mx+b formula in another context. The math in this problem is not complex, but having the ability to step back and utilize what you've learned in high school algebra may be an unfamiliar sensation. This is the kind of problem students will need to get right if they plan to take a statistics course in the future. Statistics courses are often requirements for business and economics majors. Students majoring in other social sciences should seriously consider taking statistics if they hope to be competitive for graduate school. 3. Here is the official explanation. Sometimes these explanations are clear, sometimes they are not. We're introducing a new series at The Edge Prep. We're calling this series "Chats with Admissions Officers." When I ask my students at the beginning of the application process what they think of admissions officers, they think of frightening people who are out to make their lives miserable. The admissions officer is cold and out to make your life miserable. His years of professionally rejecting thousands of qualified applicants have made it nearly impossible to excite him. You must impress him with your scholarly mind and incredible feats outside of the classroom, but mostly he yawns at your accomplishments and will eventually reject you. This is funny, but understandable. Admissions officers have a well-earned reputation as rejection machines. And for good reason! If you flip through any college catalogue, you’ll notice that admissions rates are shockingly low. The admissions officers we’ve met with tend to be very warm people who like helping young people. If you speak with most of them, you hear stories about students they’ve pushed for and profiles that they found compelling. Rather than being heartless, a surprising number of them are caring, decent people who are trying to improve young people’s lives through education. Students searching for scholarships will often find it difficult to find scholarships online. Schools may post scholarships, but it's difficult to determine whether you have a realistic shot. We'll try to push these admissions officers on exactly what they're looking for so you can determine whether you can realistically get a scholarship. The other problem is that college websites and catalogues tend to look the same after awhile. There are usually shots of a green campus and vaguely diverse student body. You’ll see the words “learning” and “community” a lot. These interviews will try to cover ground that you can't find on the website or in the university catalogue. We hope this series will allow you to get a closer look at colleges and universities from across the globe. There are a lot out there! 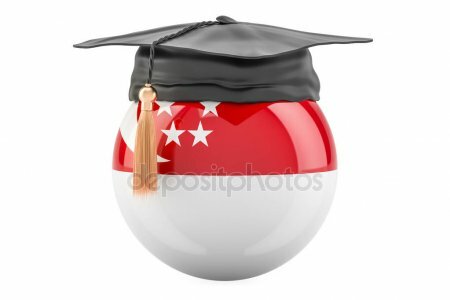 Is the International Baccalaureate Diploma Programme (DP) Accepted at Singapore Universities? The short answer is yes, Singapore universities accept the International Baccalareate (IB) Diploma Programme (DP). For more detailed information about individual universities, see below for a summary and links. - The National University of Singapore accepts the IB. Applicants (regardless of nationality) seeking admission to NUS should present the International Baccalaureate (IB) Diploma. This includes full-time National Servicemen (NSF) with IB Diploma who have a course reserved in NUS, but wish to apply for a change of course. Applicants will be considered for admission based on the strength of their academic achievements and additional interviews/tests if required. For courses that require additional interviews/tests, applicants will also be assessed based on their performance during interviews and/or tests. All applicants are strongly encouraged to authorise International Baccalaureate Organisation (IBO) to release their International Baccalaureate (IB) transcripts to NUS. Applicants can do so by informing their school’s IB coordinator. - The Nanyang Technological University also accepts the IB. "No specifics on curriculum (IB or otherwise) – our students tend to score on the higher side, but we practice holistic admissions. If you’re asking about transfer credits: transfer credit is not awarded for any courses completed prior."